In 1667 the town council of Glasgow purchased land for the construction of a harbour and breakwater. This became Glasgow's first deep-water port and the town of Newark became known as Port Glasgow. 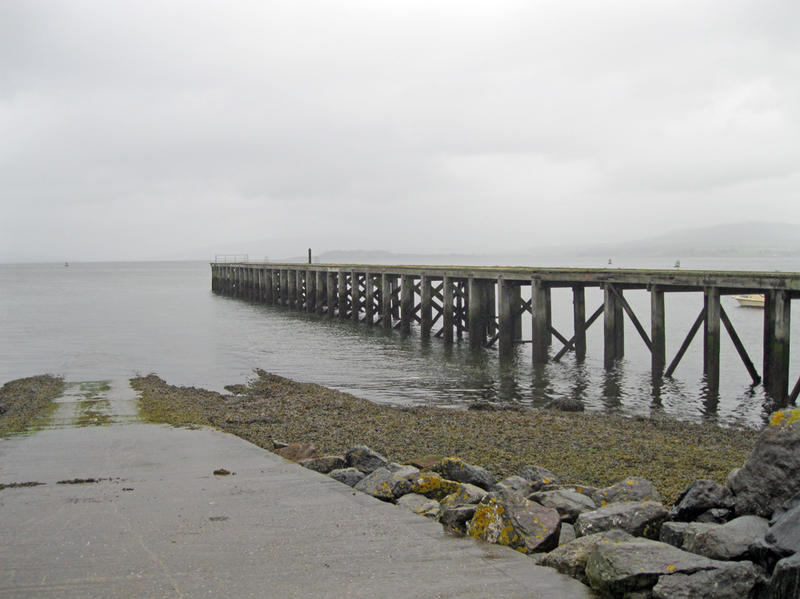 During the 18th and 19th centuries, Port Glasgow became the primary Scottish port for handling timber for shipbuilding purposes. Logs were imported from North America and Europe in specially constructed boats which had bow opening doors instead of a normal cargo hatch. The logs were floated out, fastened together and stored in ponds where they were seasoned by the salt water. The ponds were either square or rectangular and were rented from local landowners by shipwrights and timber merchants. The timber trade peaked in 1830 and gradually declined thereafter. The advent of iron- and steel-hulled vessels meant that less wood was needed and the volume of logs brought to the Clyde began to decrease. Also, the deepening of the river channel as far as Glasgow enabled vessels to reach the city's heartland. The last wooden ship built on the Clyde was launched in 1859. As late as 1914 only a few timber ponds were still in use, but at low tide the stakes which enclosed them can still be seen. The photo above shows the pier at Newark, known as Lamont's Pier. Lamont's Shipyard, which closed in the 1980s, had two parallel piers, only one of which survives today and is popular with anglers. The other photo (see 'More Photos'), is of the Inchgreen Dry Dock, which was opened in 1964 by the Princess Royal. It is one of the largest dry docks in the world. The QE2 was fitted out here.